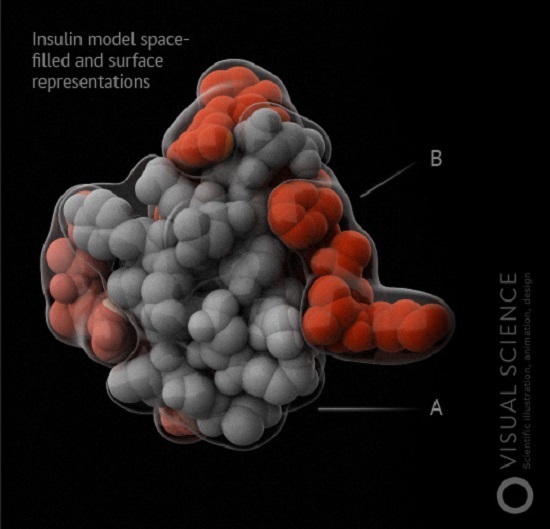 Researchers complete the first human trials for insulin vaccine to prevent T1 diabetes. An international consortium from the TU Dresden and the Helmholtz Zentrum München, together with researchers from Vienna, Bristol and Denver (USA) have successfully completed the first step in development of an insulin vaccine to prevent type 1 diabetes. As reported by the team in the journal JAMA, evaluations of the international Pre-POINT study point to a positive immune response in persons at risk for the disease who were given oral doses of insulin. Adverse reactions such as hypoglycaemia were not observed. The researchers state that the objective of the next phase of testing will be to determine whether an insulin vaccine can prevent the outbreak of the disease over the longer term. Children with type 1 diabetes require several insulin injections every day of their lives, explain the team. This is because the body’s own immune system destroys the beta cells in the pancreas, the cells that produce insulin. This is a process that starts early. Instead of ignoring proteins such as insulin, the immune defences see insulin and other proteins in the cells as foreign and mobilize immune cells to destroy the beta cells. Normally, the immune system develops an immune tolerance to the body’s own proteins during the first years of life, thus preventing this type of autoimmune response, state the team. This tolerance includes the training of immune cells that prevent destruction of the body’s own cells. The aim of the insulin vaccine in the current study is to help train this positive preventive immune response. In the current Pre-POINT study, children at high risk for developing type 1 diabetes in Germany, Austria, the United States and the United Kingdom were treated with oral insulin once daily over periods averaging half a year. The control group was given only a placebo with no effect. The active substance group ingested the insulin in powder form together with food at varying dosage levels that were increased in the course of the study. In the highest dosage (67.5 mg), the insulin powder then induced the desired immune response. The team state that there were no unwanted side effects. Since insulin in this dosage form is broken down in the stomach it did not influence blood glucose levels and the researchers believe that most of the response is happening while insulin is still in the mouth. The team state that the unique thing about this double-blind study is that the insulin was administered as a prophylactic vaccine to the children before they had developed an autoimmune response, that is before they produced autoantibodies. This is a revolutionary way to prevent type 1 diabetes, but it is quite logical that if the body’s immune system doesn’t learn how to make the protective responses by itself, researchers need to give it a little help. The USA JDRF (Juvenile Diabetes Research Foundation) assessed the study results in a positive light and are very encouraged by the results of the Pre-POINT study as a first step to potentially prevent type 1 diabetes in children that are at high risk for getting T1D. This is a significant finding and given JDRF’s mission to achieve a world without type 1 diabetes, these study results are exciting and bring the medical community one step closer to the potential of seeing an oral vaccination strategy to prevent this disease. In follow-up studies, treatment will be given to a larger number of babies who are genetically at risk for type 1 diabetes. If the vaccine then succeeds in preventing the disease over the longer term, this would open the door to blanket coverage with the preventive vaccine. Human Insulin molecule. © 2007—2015 Visual Science Company. All rights reserved.